Reinforced P.V.C. welding curtains can be used to isolate an area. This can offer protection to workers from grinding sparks and light welding spatter. 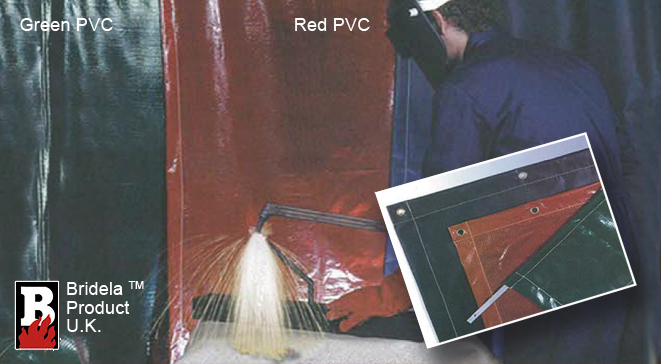 If the welding curtains are correctly positioned they can also assist in the protection of personnel working nearby or walking by from arc-eye or weld-flash. For use in well ventilated areas. AIR SPACE - We recommend that a sufficient air space is provided between the welding fabric and the surface you are protecting, both in horizontal and vertical positions. For more information on welding curtains please click here.